Short stories and commentary shared by writer/storyteller Shannon Cason. Morning ShiftIs A Serial Killer Loose In Chicago? Morning Shift | Is A Serial Killer Loose In Chicago? Morning ShiftWould You Pay $10 To Drive Into The Loop? Morning Shift | Would You Pay $10 To Drive Into The Loop? Nerdette Recaps Game Of Thrones With Peter Sagal8.1 Winterfell: Greetings From Stark Party Central! Nerdette Recaps Game Of Thrones With Peter Sagal | 8.1 Winterfell: Greetings From Stark Party Central! Here’s who and what to blame if you spill your coffee on your commute. WBEZ's WorldviewSudanese Protests Succeed In Deposing President, But Military Now Has Power; Wikileaks Co-Founder Julian Assange Arrested In London; What Would It Be Like To Be on A Suicide Mission For Humanity … In Space? 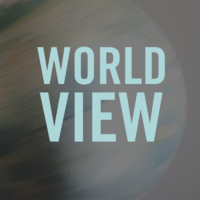 WBEZ's Worldview | Sudanese Protests Succeed In Deposing President, But Military Now Has Power; Wikileaks Co-Founder Julian Assange Arrested In London; What Would It Be Like To Be on A Suicide Mission For Humanity … In Space? 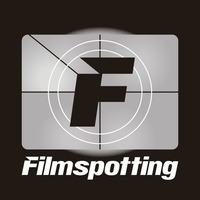 This American Life672: No Fair! 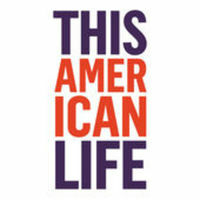 This American Life | 672: No Fair! Curious CityA Tavern On (Almost) Every Corner: Why Did So Many Chicago Bars Disappear? Curious City | A Tavern On (Almost) Every Corner: Why Did So Many Chicago Bars Disappear? Demographic shifts, changes in attitudes towards public drinking and the politics of the Daley family led to the shuttering of many Chicago bars. Morning ShiftNew Ernie Banks Bio Reveals The Real "Mr. Cub"
Morning Shift | New Ernie Banks Bio Reveals The Real "Mr. Cub"
WBEZ's WorldviewAn Oligarch And A TV Actor Face Off In Ukraine's Presidential Election; What Urban Violence in Buenos Aires Teaches Us About America; Food Mondays: Are Insects The Food Of The Future? WBEZ's Worldview | An Oligarch And A TV Actor Face Off In Ukraine's Presidential Election; What Urban Violence in Buenos Aires Teaches Us About America; Food Mondays: Are Insects The Food Of The Future? Curious CityBAM! A Pothole Damaged Your Car! Now What? 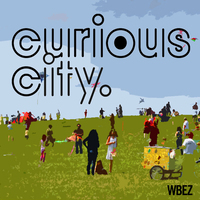 Curious City | BAM! A Pothole Damaged Your Car! Now What? It takes a lot of information and a lot of patience, but here’s what you need to know to get reimbursed from the city.